You have to shoot UFOs using a classic aircraft and save the animals kidnapped by the aliens. ●Very simple controls - You can rotate aircraft by left & right buttons. and you can dash by pushing both buttons together. That's all. 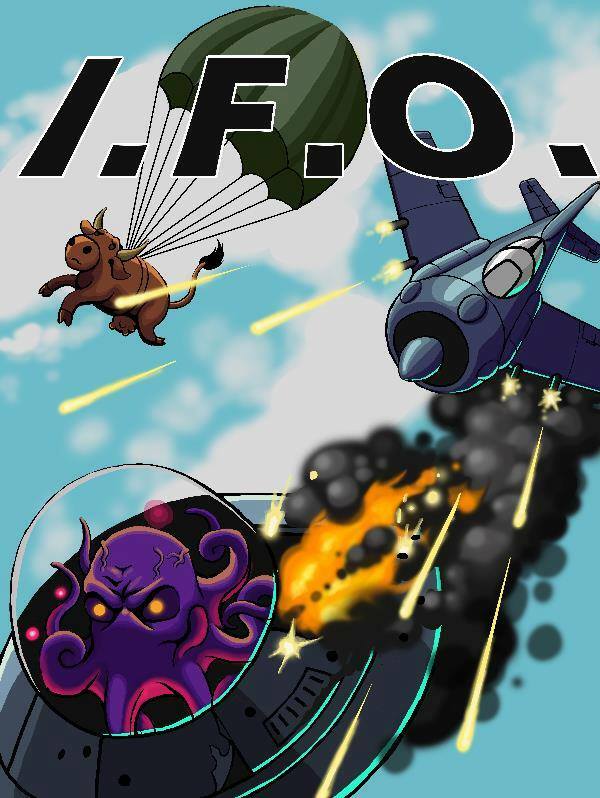 ●The mysterious alien power - If you kidnap an alien, your classic airplane gets power up by the mysterious alien power. ●Unique weapon & item - You can change weapon while saving the animals kidnapped by the aliens. And you can recover your life at the same time. Depends on the kind of animal, you can earn a heart piece which make your maximum life larger. - BIC(Busan Indie Connect) 2016 selection. Total Battery's motto to create "Game just fun" and is continuous presenting game with old school's nostalgia.. He have released 3 commercial and 2 free games so far. In addition, Total Battery has continued to participate in many game conferences and conventions abroad, including Busan Indie Connect, Bit Summit, Taipei Game Show, and Tokyo Game Show.